For those who are looking for fresh, reasonably priced fruits and vegetables, farmer’s markets can’t be beat. Not only do shoppers get to pick from a wide range of in-season produce, but they are also supporting their community and local farmers. National Farmers’ Week begins August 7th and is the perfect place to take your elderly loved one if they want to eat a healthier diet. To guarantee that you and your elderly parent get the best deal for your money, we put together a list of money-saving tips to use when going to a local farmer’s market. Plan your shopping trip. No two farmers’ markets will have the exact same locally grown produce. Create a list of fruits and vegetables you and the elderr want to get and research all markets in your area, determining which one has the right produce. This way, your time and money will be spent wisely and on the things you and your loved one were searching for. Stop by at closing time. Once you find out what farmers’ markets you want to do your shopping at, scope the area to get an idea of what items you want to purchase. Then, leave and come back when the farmers are beginning to pack up. Any produce the farmers still have in stock will most likely be sold at a discount. Learn how to network. Connecting with farmers at a farmer’s market is very similar to networking with industry professionals at a business event. Once a relationship begins to build with these people, they will most likely give you a heads up on what will be on sale and when. These relationships will not happen overnight, but will over time if you or your elderly parent continues asking questions as a way to get to know the farmers. Know what is in season. Fruits and vegetables that are in high demand and availability will most likely have a deep discount. This is the perfect time to scoop them up. Educate yourself on what is in peak season to determine what produce will have the lowest costs. Try something new. Broaden yours and your loved one’s horizons by trying a new fruit or veggie that is on sale at the farmer’s market. You may discover a new favorite by keeping your mind open to these new possibilities. 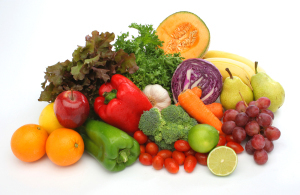 Most produce can be frozen to be used later, so stock up on yours and your loved ones favorite fruits and vegetables. If you are unable to go with the elder, have caregivers accompany them to the farmer’s market with these tips in mind. For Elderly Care Services in Oakland TN, please contact the caring staff at Personal Care Services MidSouth today! This entry was posted in Elderly Care Oakland TN and tagged Elderly Care Oakland TN. Bookmark the permalink.